Here at Miami Beach 411, we know South Florida. And we want you to know all about it too, so you can have the best vacation ever. Miami has great tours, beautiful beaches, historic architecture, fantastic nightlife, and unique sights unlike anywhere else in the world. We have selected our favorite sites, blogs, and articles to inspire you to have a wonderful trip. Learn about the history of Miami and more. Did you know that the name Miami comes from Mayaimi, which means “very large lake” and probably refers to Lake Okeechobee? Or that Spain sold Florida to the United States for five million dollars in 1821? There’s no doubt about it, Miami’s Ocean Drive is probably the most recognized street in the world. 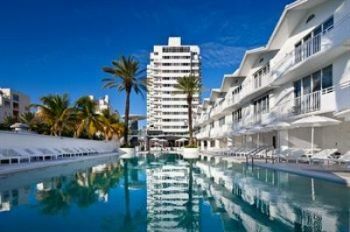 And that is thanks to the iconic Art Deco hotels, preserved by the Miami Design Preservation League. The two and three story buildings, painted in pastel colors and many times resembling ships with porthole windows and shiny chrome are on the National Register of Historic Places. 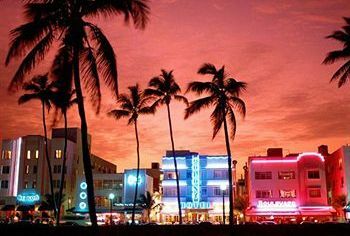 There are over 800 buildings in Miami Beach of historical significance and can be seen strolling along Ocean Drive or on a self guided walking tour. Miami Beach 411’s ultimate guide to having fun in Miami. It includes information on water sports, tours, sightseeing tips, theme parks, shopping, museums and more. You can’t fail to have a good time in Miami if you start with this guide. 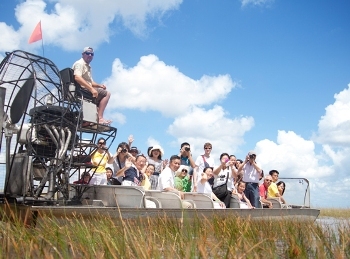 All good tour guides develop knowledge and tricks that are helpful to visitors. These are usually closely guarded secrets, but we are happy to share some of ours to help you have the best vacation. The Cheat Sheet contains all sorts of fun facts that will help you find things like live music, weekly farmers markets and free parking in South Beach. If you are coming into town with your loved one, look no further. This guide by South Beach USA points you to the Most Romantic Hotels in Miami, to help you plan a relaxing weekend getaway, proposal or Valentines weekend. 6. Where Should We Eat? With practically every cuisine under the sun being offered in Miami restaurants, check out Eater Miami for all the best places. And if that’s not enough, the Miami New Times Food Blog, Short Order, covers Miami’s restaurant scene from a fun and sometimes snarky viewpoint. Miami is very pet friendly, so don’t be surprised to see people take their loved pooches shopping, out to dinner or to the beach after the lifeguards leave for the day. Miami has designated dog parks for both big and small dogs, so book your doggy a ticket and stay in a pet friendly hotel. Getting here for most people means flying, so save some money on your plane ticket and use the extra cash for more cocktails at the bar. 9. What’s the Weather Like? Checking out the weather before you start packing your suitcase may save you from a desperate dash to Walgreens for an umbrella. Miami is not sunny all year round! We have a rainy season that starts in June, ending around October. During this time, it is sunny, but by mid afternoon the heavens open giving us a torrential rain storm. Also, don’t forget hurricane season from June 1 – November 30th. It may be worth checking the hurricane warnings, a few days before you fly . Whatever it is you wish to see here, Miami Beach 411 can arrange it, with private tours, transportation and daily trips to the Everglades and Florida Keys. So don’t just sit on the beach all day while you are here… come join us and explore Miami. Famous for its history, the Florida Keys is a tropical paradise, located just South of Miami. The fla-keys website will give you great inspiration to visit these beautiful islands, which is home to great diving, fishing, and famous landmarks. After all these tours, you are going to want to come home with some great memories on your camera. Our video tutorial offers tips for taking great pictures on your tour, and covers the basics like when to use your flash, or how to take a great picture in bad weather. Although Miami is often thought of as an adult playground, many families visit year round also. Miami has plenty to keep the kids happy, including our very own Children’s Museum. We can help you find kid friendly things to do to keep the entire family entertained. 14. What to do on a Rainy Day? Yes, even in Miami, it can rain. But before you despair about going home without a suntan, read this handy list of things to do when it rains for the afternoon. South Beach doesn’t just stop at happy hour. Our happy hours can stretch for hours into the evening, and then as soon as you start to sober up, it’s time for round 2! Many of the beach happy hours along Lincoln Road start up again after 10pm with a ‘reverse’ happy hour, and some of the bars in town start theirs after midnight. You know you want to have a big night out, but where do you start? Miami has dive bars, sports bars, hotel lobby bars, bars by the water… whatever it is you’re looking for, Trip Advisor’s resident expert Advisor Girl has an awesome map that shows you where to go. Yes we know, we are unbelievably lucky to live by the beach all year round. We think so too. Here we share our secret tips on going-to-the-beach like a local, to ensure you have the best beach day… with no sunburn! Our Travel Tips will help you with all the decisions that come with organizing your vacation. We have information to book the perfect hotel room, how to deal with jet lag, how to treat a jellyfish sting and where to find the consulates in Miami. Miami Beach 411’s message board is like no other city! Ask advice from real locals living here, whether it’s to plan the perfect sightseeing day when you only have 8 hours, discuss the best nightclub to go to, put together a bachelor party or even to find out what it’s like to live here. We answer all your questions, no matter how simple or crazy they may seem. For the best of anything in Miami, check out the Miami New Times guide of everything that was awesome here in 2012. Here is a bonus video for inspiration, by a professional filmmaker from ESPN. He had so much extra Super Bowl footage, he decided to put together a scenic mix of Miami, with crazy color correction and trance music. Do you feel inspired now? Bievendos a Miami! Have a great day! Which of the above links did you enjoy the best? Have you found anything inspiring lately that you’d like to share? Please let us know in the comments below. A SoBe resident for 5 years, Jess’s writing focuses on healthy living in South Beach with a dose of British humor and a cheerful outlook on life in Miami. She can be found moderating the forum Miami Beach 411. See more articles by Jess. "20 Wonderful Sources of Vacation Inspiration"
Their helpful and clearing every doubt in my mind about my vacation.